Ask anyone to name you classes of steam locomotives from the Great Western Railway and at some point the 57XX Pannier tanks will emerge, as they are, in my opinion, one of the most iconic designs to come out of the UK's railways. A grand total of 863 members of the class were built between 1929 and 1950 across 7 manufacturers, initially for the purpose of shunting and hauling light goods trains. They soon however were seen pulling passenger trains on branch lines, suburban routes and even short main line runs. Withdrawal of the class took place between 1956 and 1966 with 16 of them escaping the cutter's torch into preservation. 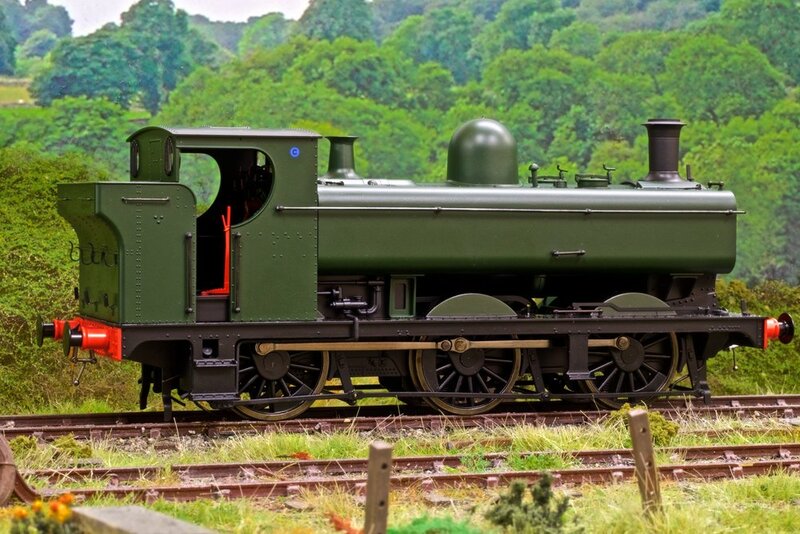 In the railway modelling community two manufacturers are offering us R-T-R 57XXs in 0-scale. 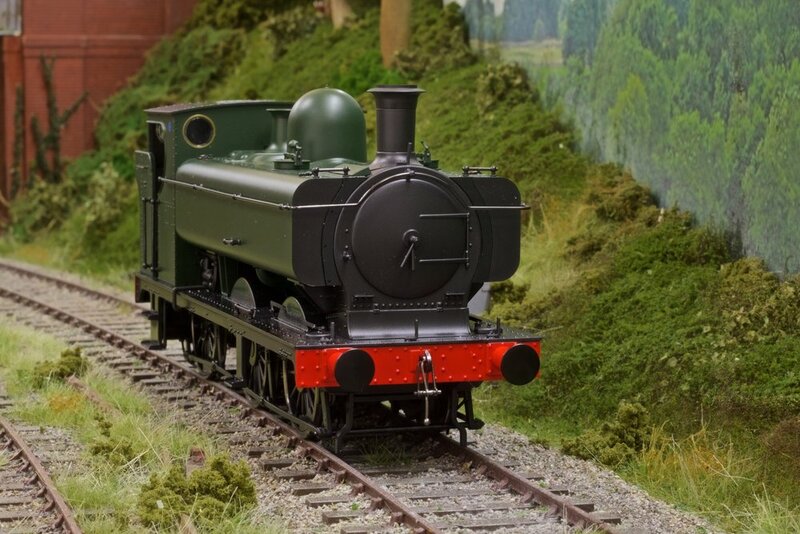 Dapol's model will be coming very soon but for now we shall be taking a look at the offering from Minerva Model Railways which has a RRP of £265 or £390 for DCC fitted. The model is cradled in soft black foam with plastic sheeting to prevent any rubbing/scuffing on the paintwork whilst in storage. The amount of detail that Minerva have placed into this model is just incredible. 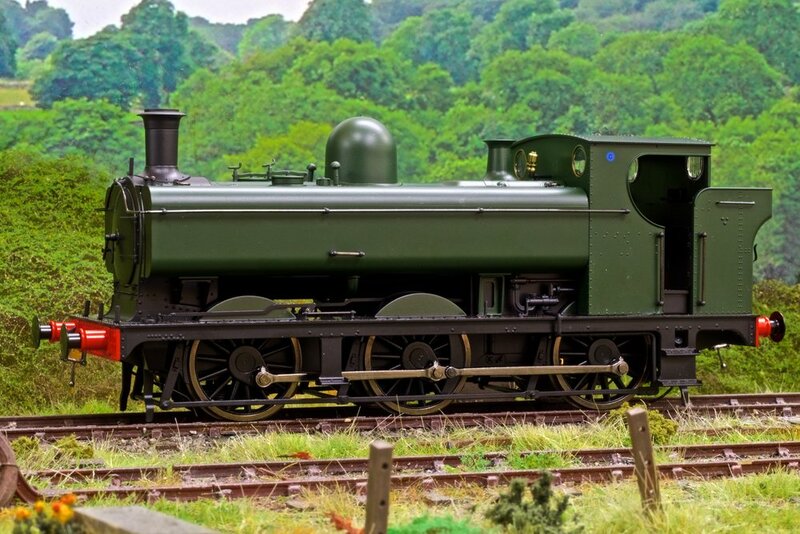 • Rivets on the cab roof, chimney base, on top of the water tanks, smoke box front and sides, all 4 sides of the cab, all 3 external sides of the coal bunker, the top and sides of the running board, buffer beams and access steps. • Handrails on the top, front and sides of the water tanks, cab sides and rear and the running board. The cab interior of this model looks amazing. Copper pipework is present together with dials which have decals applied to them. Also on show is the regulator, steam and handbrakes, reversing lever, sanding lever, water gauge glass, water injector controls and the ATP (Automatic Train Protection) system. The lever for the firehole doors is also present with the doors in the closed position. The cab windows are flush with the walls and the rear windows have fine metal grill protectors fitted over them. The GWR dark green is presented accurate and is really set off by the bright red buffer beams. With the exception of the route indicators on the cab sides there are no other printed decals, nor are there any etched numberplates, however Minerva are collaborating with Narrow Planet to offer customers the chance to choose which member of the 57XX class they wish to have by allowing them to decide what numberplates they desire. When it comes to decals, it is left to the individual to decide which supplier they wish to go with. I would personally recommend Fox Transfers who offer a wide range of decals covering all the major companies across a vast range of eras in the history of Britain's railways. The model is wired up to take an 8-pin DCC decoder with space also provided for those wishing to install Dcc sound. One feature I wish had been included, but sadly isn't present in this model, is a flickering light effect in the firebox, similar to what Dapol include with their 0-scale steam locomotives. The heart of this model's propulsion is a powerful high-torque motor with a brass flywheel, all connected to the rear axle. For slow-speed performance the loco is fitted with 40:1 ratio gearing which makes for fluid smooth running even at ultra slow-speed. When it comes to strength the model is constructed with a die-cast metal chassis and footplate. This combined with the weighty motor assembly means that the loco has more than ample pulling power. After the initial run-in period we tested the model's strength by having it haul no less than 6 B-set coaches (a 4-coach set and a 2-coach set) plus a milk tanker. The couplings were at their maximum extension but the model pulled the train with little to no wheel slip. We got an idea of the high standards Minerva puts into their models when we reviewed the E-class Peckett and I'm pleased to say that those standards are still high with the 57XX Pannier tank. 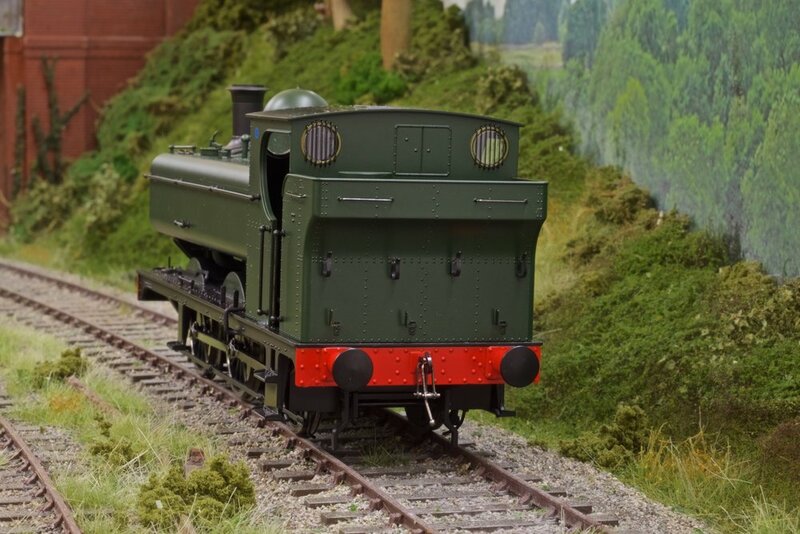 The highly detailed body together with the excellent quality motor assembly and immense tractive effort makes for a model that every 0-scale modeller/collector, who have a passion for all things 'Great Western', will want to get their hands on. It'll certainly be a challenge for Dapol's forthcoming 0-scale 57XX to match what Minerva has done here.